Editor’s Note: This is part two of a series that takes an in-depth look at how brokerage offices have transformed. You can find part one here. 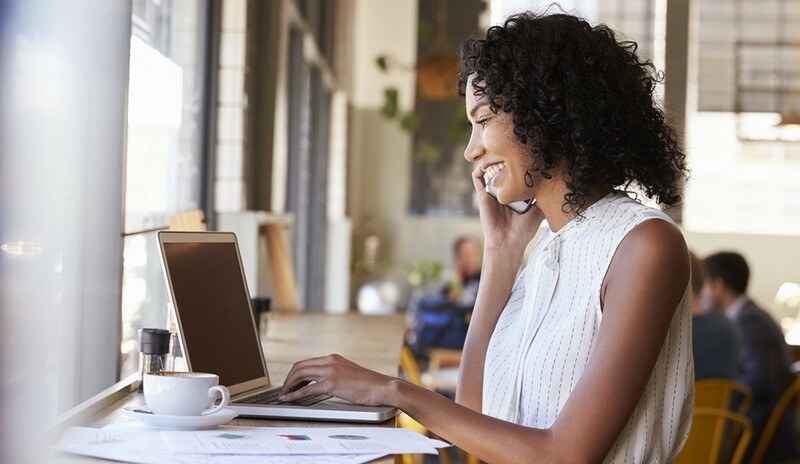 It’s Monday morning, and you have two choices before you: drive into the office and get your lead generation knocked out in a traditional workspace, or work from home or a nearby coffee shop using the virtual tools provided by your brokerage. Which format makes agents more productive, and clients more inclined to purchase or sell a home? It’s not a clear-cut answer, as it largely depends on personality type, work ethic and the tools a brokerage provides. This is something that Lynsey Engels, president of Mel Foster Co., a member of Leading Real Estate Companies of the World®, stands behind, especially when it comes to concrete office spaces. In terms of virtual interactions, Engels uses private Facebook groups as a chat room resource for agents, while still putting more emphasis on in-person interactions. Is Facebook enough of a cyber communication tool for today’s real estate agent? Josh Harley, founder of Fathom Realty in the Dallas-Fort Worth, Texas, market, believes that Facebook should be used by agents to “freely exchange ideas, share successes and issues, and encourage each other,” but in combination with other tools. With more involved virtual communities—as with eXp Realty’s cloud campus, eXp World—agents can find cyber office spaces that are more complex and interactive, and that take on more of the features expected in a traditional office setting, such as assistance provided by support staff and even team-building activities. “Most agents are used to paying a desk fee for an office they rarely visit,” says Mitch Robinson, senior vice president of Marketing and Communications at eXp Realty. “Plus, for those who go into the office, they often aren’t able to get the real-time support they need. We have multiple people with the same function who can help agents across North America. We also don’t have desk or franchise fees, so agents save money. Are these virtual perks enough? More and more brokerages are amping up their tech offerings in order to transform their office environment, and, yet, the real estate industry is still a human-centric business in which face-to-face meetings are key to building strong relationships. That’s why Wendy Forsythe, chief operating officer at HomeSmart International, has zoned in on technological innovation that blends well with both concrete office space and the cyber world. How does the industry feel about a completely virtual office setting with customizable avatars, such as those within eXp’s cyber community? Personalization can help to differentiate users and build a sense of identity; however, while younger, more tech-savvy clients may appreciate the imaginative interactions that come with the modern spin on tradition, the format is still new, leaving questions unanswered. Will it take away from the seriousness of tough transaction conversations typically needed to get to the closing table? Will home showings be replaced with virtual tours? And will the agent-client relationship suffer from a lack of in-person interactions? So, what does the real estate office space of the future look like? It depends on who you ask; however, the industry will most likely retain its varied offerings in order to maintain healthy brokerage competition and appease the various personality types of real estate clients.